Premier League giants Manchester United have reportedly set their eyes on Tottenham Hotspur and England international Dele Alli. The 21-year-old sensation has grown up to be one of the most versatile midfielders of the game in a span of just two and a half years, following his £5m move from MK Dons to Spurs in 2015. 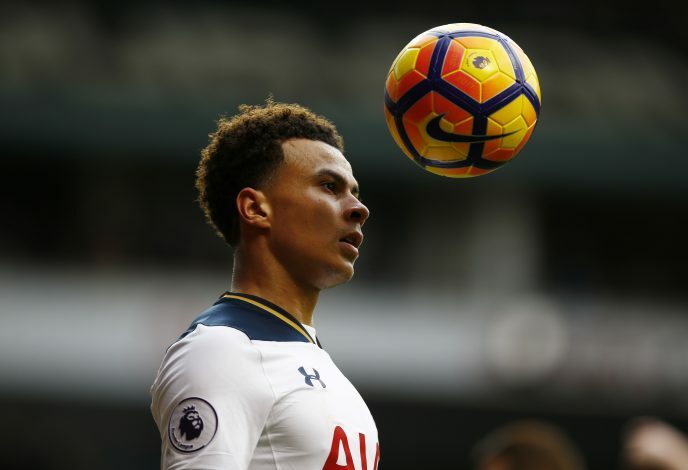 Regarded as a future great, Alli has been a vital cog for both Spurs and the national team, as he continues to flourish under Mauricio Pochettino. The England star has helped Spurs fight for the league title, and this season, he has been a revelation in the Champions League too. Alli has certainly attracted the interest of Jose Mourinho, who is keen to add him in the United ranks. The Portuguese believes that Alli can give him the power to dictate terms on the attacking third, and alongside Paul Pogba, he could be a serious threat surging ahead and making runs from midfield. According to a report in Spanish outlet Don Balon, the Old Trafford club is said to be preparing a mammoth £179m bid for the youngster. United broke their transfer record last season when they bought Paul Pogba from Juventus, and this summer too, they paid a hefty sum to get Romelu Lukaku from Everton. If they manage to sign Alli, then it will not only break their bank once again, but also make the player the 2nd most costliest player in the world after Neymar, who moved to Paris Saint-Germain from Barcelona this summer for a remarkable £198m fee. Spurs, on the other hand, will definitely be reluctant to sell their star player to a direct domestic rival, but United could tempt them with the relative amount stated. The London club needs to win trophies to keep their best players at the club, and this season is vital for them. After Kyle Walker’s departure to Manchester City, the likes of Alli and Harry Kane are the latest players to garner interest from the big clubs.